You don’t generally look to Richmond upon Thames for political radicalism and pioneering social reform. 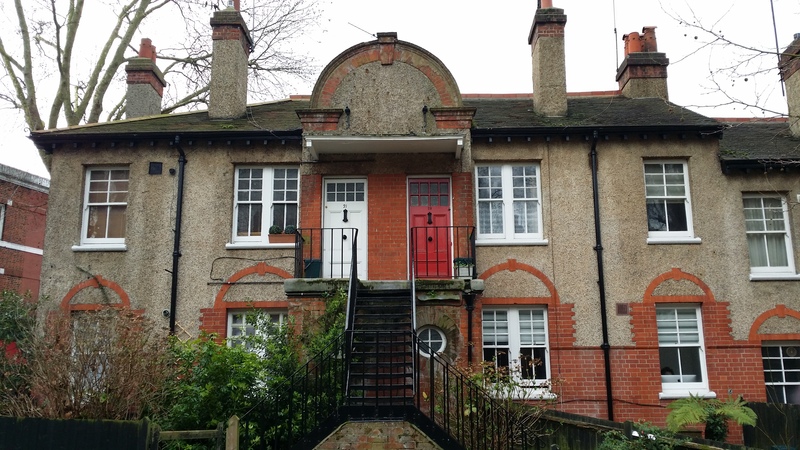 But look again – at a street of modest Victorian terraced housing: Manor Grove in North Sheen. 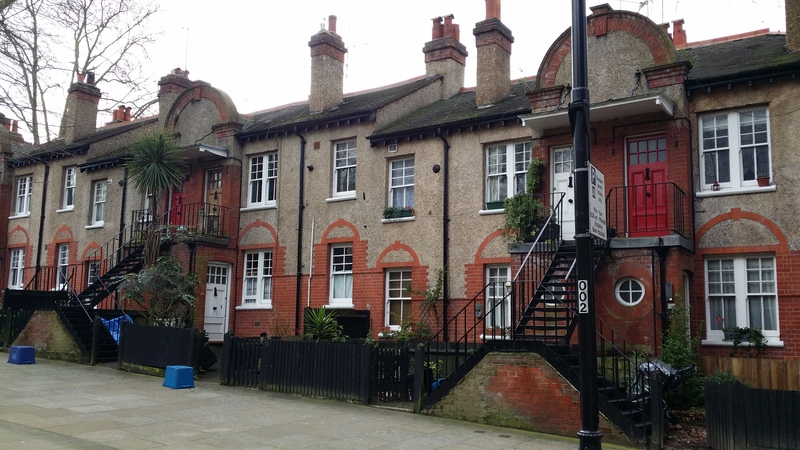 This was the first council housing in London. It was built through the efforts of Richmond’s very own ‘People’s Champion’, William Thompson. Of course back then Richmond was in Surrey and it had been created a municipal borough only in 1890. That, it turned out, was an auspicious year: a young Liberal schoolmaster, William Thompson, was elected to the local council and, nationally, the Housing of the Working Classes Act was passed which allowed local councils not only to clear areas of slum housing but to build new, municipal, housing where necessary. There were early attempts to tackle the problem of the slums through the improvement and closure orders allowed under the 1890 Act. But these, at best, might lead to increased rents for paltry repairs and, at worst, to the displacement – without adequate alternative accommodation – of existing tenants. Such enforcement was often resisted by working-class tenants as a result. workmen’s wages, their hours of labour, the provision of workmen’s dwellings and allotments, the reform of the charities, better railway facilities, made up a progressive programme….launched on to the sea of public debate at the Gas Works Bridge, a spot now historic as the people’s forum. 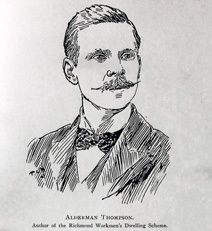 Thompson’s local following among working people secured his election against the vested interests. 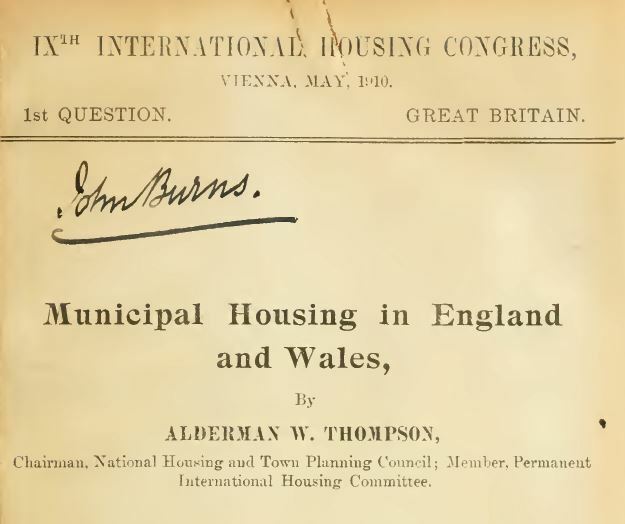 That Thompson succeeded in getting Council approval in 1892 for a significant scheme of municipal housing is huge testimony to his campaigning and expertise. It reflects too the pragmatic case he was careful to build – ‘that the carrying out of the scheme will not cost the ratepayer a single penny…that there is an estimated clear margin of profit of from £13 to £25 for every year’. (4) And it reminds us also that the better-off had an interest in a more contented workforce – though that seems to have been forgotten more recently. separate front and back garden; paved yard, with chopping block; coal store, larder, and WC; a cooking stove in the kitchen; a 75 gallon galvanised iron cistern; a nine-gallon copper in the scullery; a separate supply of water; and gas, where required, on the ‘penny in the slot’ system. window blind rollers; hat and coat rail; wardrobe hooks; cupboards and picture hooks in sitting rooms and bedrooms; dressers, fitted with hooks, in kitchens; towel roller and shelving in scullery; meat hooks in larders; and circular galvanised iron dustbins in yards. I hope I haven’t lost you with that detail. It just seems to me to capture both something of the life of that time and the care that Thompson and the Council brought to a scheme intended as a model of its kind. 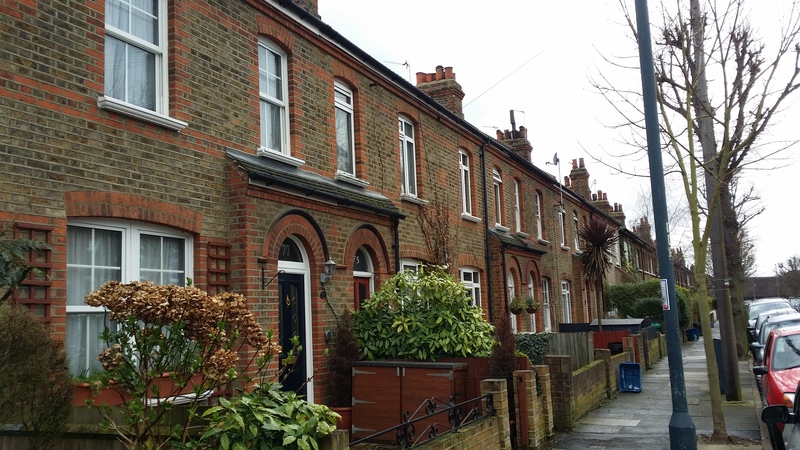 Demand for the new homes exceeded supply and a ballot was held – confined to those either living or working in Richmond (who could afford the rent) – to allocate places. The tenants were stated to be ‘delighted with their houses’. Such was the scheme’s success that in 1896 the Council agreed to develop the remaining portion of the Manor Grove land. Seventy more houses were built, completed by 1900. 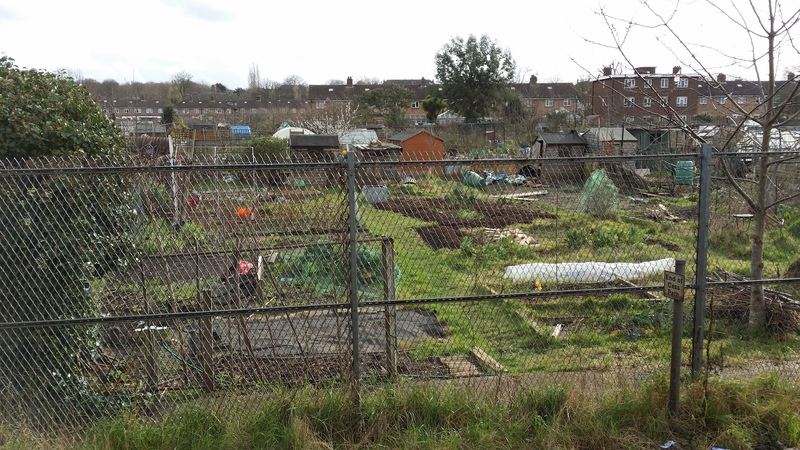 In all, 132 homes were provided at a total cost of £37,812. The residents, meanwhile, paid rents of between 5s 6d (27.5p) for the smallest homes to 7s 9d (39p) for the largest. 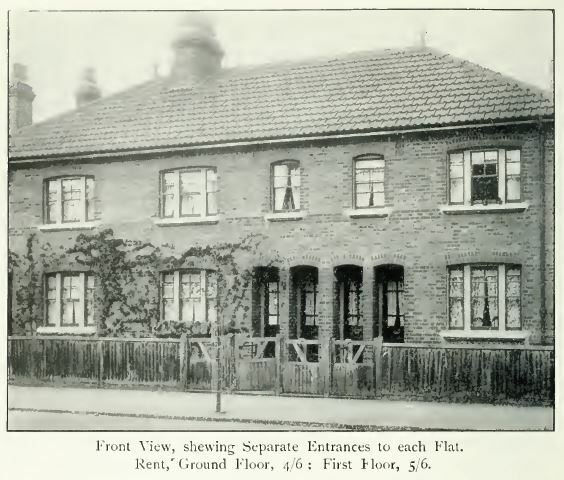 A Fabian Tract claimed that new six-room cottages built privately in an adjacent development were being let at between 12s 3d and 14s (61-70p) a week. 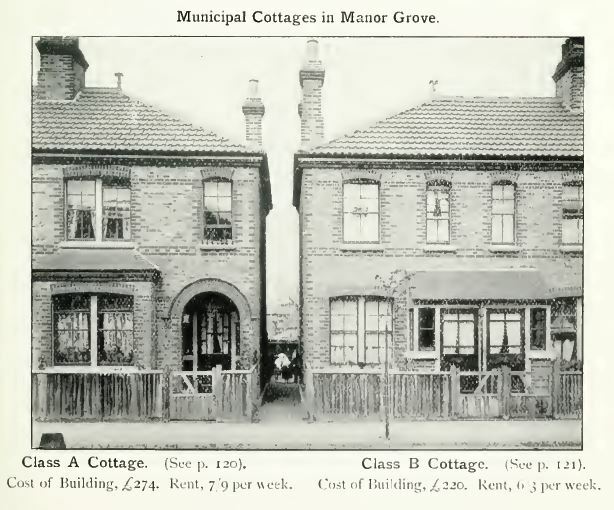 (6) The average wages of Manor Grove’s tenants were around 25s (£1 25p). Thompson conscientiously provides a list of their occupations. The largest number (28) were general labourers but the next largest category – at 12 – were police officers. Then came ‘carmen and drivers’, railwaymen and gas workers. There were also at least five female heads of household – three described as charwomen and two as widows. The number of police officers seems disproportionate – and Thompson is at pains to emphasise their prominence reflects only numbers applying through the ballot – but they may be taken as representatives of the ‘respectable’ working class for whom this early municipal housing was intended. In fact, as required by the Section 63 of the 1890 Act and as featured in the tenancy agreement, anyone receiving ‘any relief under the Acts relating to the relief of the Poor, other than relief granted on account only of accident or temporary illnesses’ was disqualified from tenancy – a very different view of the role of council housing to that of the present. This was, then, unashamedly artisanal housing though Thompson believed it would benefit the poorest – by freeing up accommodation to which they might move and by providing a standard of decent housing that the private sector might emulate. Meanwhile, energised by this apparently unlikely success in a ‘villa district’ such as Richmond, Thompson became one of the most prominent advocates of housing reform of his day – a founding member and chair of the National Housing Reform Council, a member of the International Housing Congress, a vice-president of the Co-Partnership Tenants’ Housing Council and a member of the Garden Cities Association. His political career continued – with some ups and downs. Elected an alderman in 1897, he was removed from the bench by his fellow-councillors as too turbulent a presence two years later, only to be promptly and resoundingly re-elected to the council by the borough’s voters. For all his zealotry, his undeniable drive and talents seem to have been finally recognised by the council in 1908 when he was elected mayor. the story of an unselfish soul which strove for the good of others; of a life shortened by often desperate work for the well-being of his fellow men…Our workmen’s dwellings, the garden city of Ruislip, houses for workers all over the country, and even abroad, stand as a memorial to his energy and devotion to the cause of others. My thanks to the helpful staff at the Richmond Local Studies Collection for their assistance in accessing some of the sources listed above. 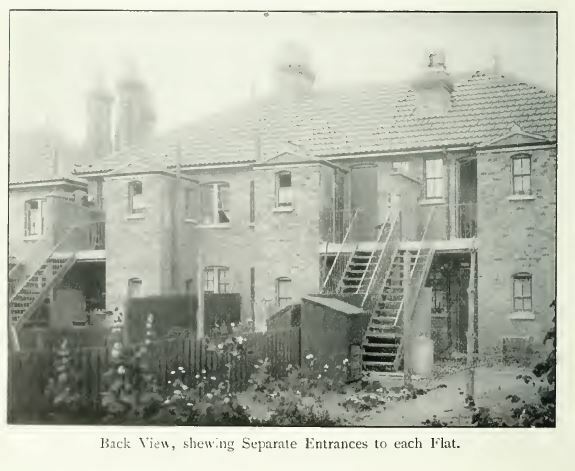 Early photographs and illustrations are taken from Thompson, The Housing Handbook. 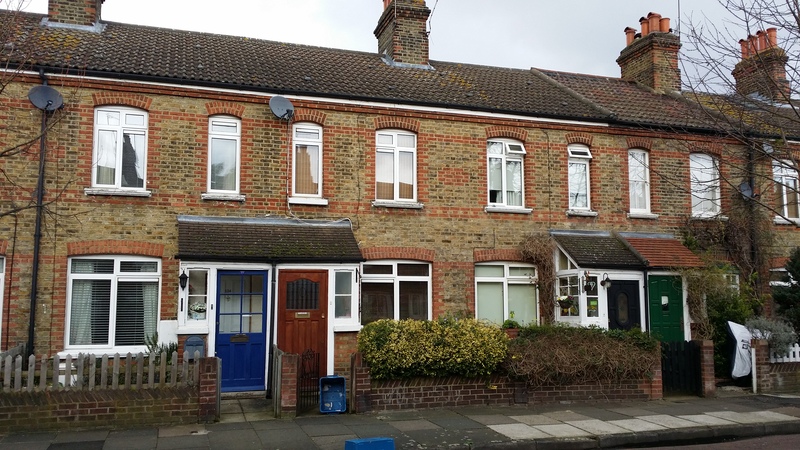 A fascinating post, both in terms of the early council housing but being about one of those municipal pioneers, like Alfred Salter and Will Crooks, of whom it is easy to forget how different they were to those who had gone before and how much impact they made on future generations of local politicians. Thank you – and agreed. I hope one of the things I can do on this blog is to celebrate some of the unsung heroes of past local government. It wasn’t glamorous work and certainly wasn’t well-rewarded but, as you say, they made a real difference. Great post …..the attention to detail with the fittings is in stark contrast to your previous post on the Crescents. Great post on a really fascinating period of radical change. I wonder what one of these houses is worth today! There’s one on the market now at £525,000! Thank you. I wondered what had happened to the gas works. Just come across this article, many memories. I was born in number 61 in late 1938, spent early childhood days there before we moved along to 67. Lived there until marriage around the late 60’s. Parents moved away about ten years later. Have been back in recent years and can’t really believe how it has all changed. Great paper for reference. I’m so glad you found it and William Thompson is certainly an ancestor in whom you can take pride. Thanks for your comment. To me it will always be Gas Works Bridge and not Richmond Circus. We would wait there for a 71 bus to Ham after visiting my grandparents in Alexandra Road, Kew. What a fascinating article. I was delighted to discover that Victoria Place, which I’ve always loved, was once Artichoke Alley. It’s a shame they changed it but at least there’s still Artichoke Walk. 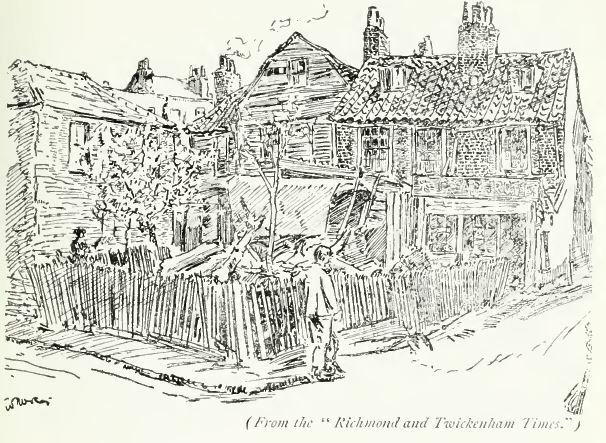 I was brought up in Richmond and lived there when I was married. 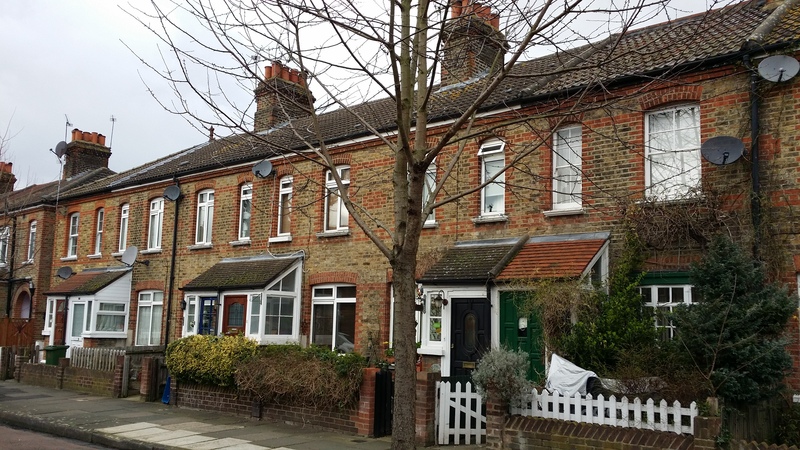 The Victoria Place homes pictured are owned by RHP a housing association . About half the properties are still occupied by social housing tenants.The rest are leasehold properties ……. Thank you for this informative and thoughtful piece …. Just come across this article whilst browsing and it has brought back so many memories !! Lived in 68 Manor Grove from early childhood until married in 1965 opposite Stan who posted in January 2017 !! My father was born in number 68 and lived most of his life there and his parents must have been one of the first tenants.